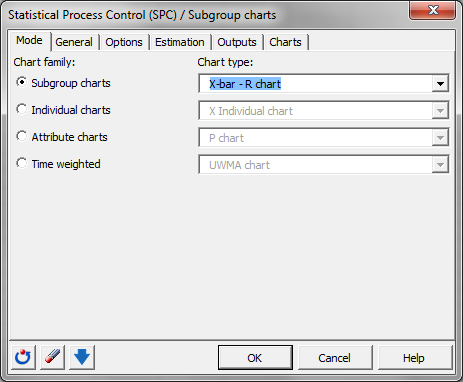 This tutorial will help you set up and interpret a subgroup control chart on quantitative data in Excel using the XLSTAT statistical software. The data are from [Pyzdek Th. (2003); The Six Sigma Handbook, McGraw Hill, New York] and correspond to 25 inspections each having 5 measurements of a production process. 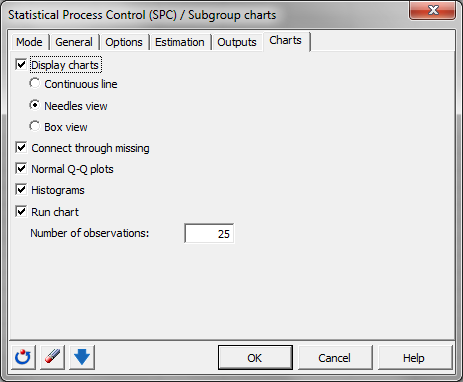 Once XLSTAT is activated, select the XLSTAT / SPC / Subgroup charts command. 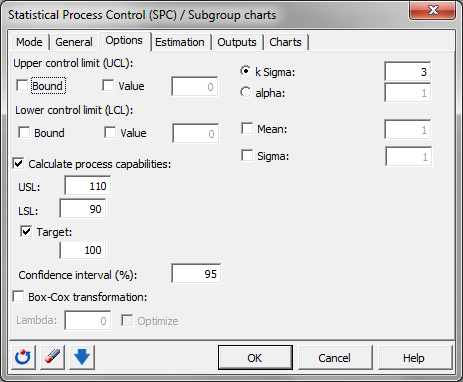 The Statistical Process Control / Subgroup dialog box appears. In the Mode tab, we choose the combination X-bar — R chart. In this example, the data start from the first row, so it is quicker and easier to use columns selection. This explains why the letters corresponding to the columns are displayed in the selection boxes. The Data format chosen is Columns because of the format of the input data. 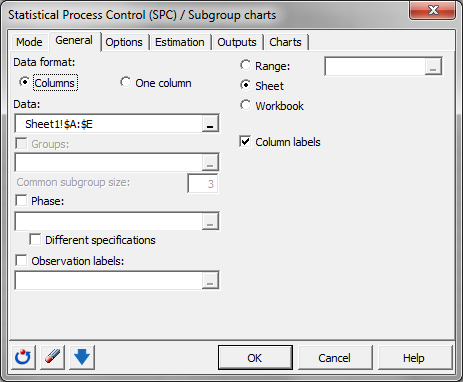 In the Options tab, we activate the options Process capabilities to display the process key figures. The given values for the USL, LSL and the target are entered. In the Output tab, we activate all options, and we activate all special cause rules. The computations begin once you have clicked on OK. You are asked to confirm the number of rows and columns (this message can be bypassed by unselecting the Ask for selections confirmation in the XLSTAT Options tab). 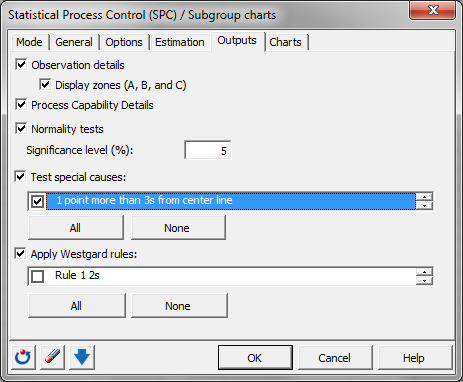 Both control charts let us come to the conclusion that the process is “statistically under control”.